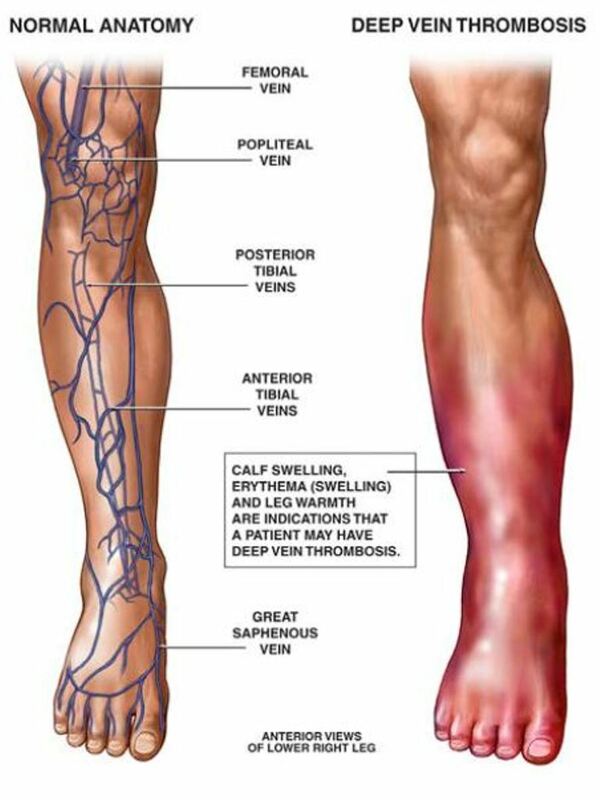 The blood clot, a clump of blood in a gelatinous and solid state, can form in a veins located deep inside the body, leading to a condition called deep vein thrombosis (DVT). The clot usually develops in your lower leg or thigh, but it can develop in other areas too. Sometimes, the clot travels to other organ, like the heart or lungs, causing serious complications. It is therefore important to seek treatment for DVT in leg soon after experiencing any symptoms. The use of anticoagulants or blood thinners may help treat DVT. These drugs are not effective in breaking up existing blood clots, but they help prevent the formation of new clots. Your doctor is more likely to treat your DVT with a shot of the blood thinner heparin, which is usually followed by another blood thinner such as dalteparin, enoxaparin, or fondaparinux. Some blood thinners are also available in pill form, such as rivaroxaban and warfarin. Another treatment for DVT in leg is to wear compression stockings. You have to wear them to compress your leg to prevent swelling associated with DVT. You also have to wear these stockings throughout the day to relieve swelling and prevent postphlebitic syndrome. Your body has the ability to dissolve the clot overtime, but sometimes, you cannot wait because it may cause damage to the vein. To prevent any damage, your doctor would give you a thrombolytic agent to dissolve the clot. These clot-busting medications are suitable for people who have large clots that cause swelling, pain, and other problems. People with DVT in the arm may also require these clot-busting agents. These medications are not suitable for all as they increase the risk of excessive bleeding. 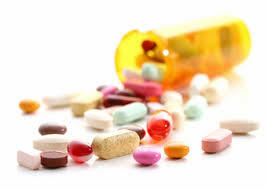 Your doctor will perform other tests, such as x-ray, to confirm you are a good candidate for thrombolytic medications. Vena Cava Filter: The main vein that takes blood from your lower body to your heart is called the vena cava. To treat a clot, your doctor may decide to put a filter into this vein and move it to the location of a clot. This helps prevent the clot from moving to other parts of your body. Venous Thrombectomy: In certain cases, it becomes necessary to cut out a deep vein clot and that is when you will have to undergo venous thrombectomy. People with a severe type of DVT may also require this surgery because they do not respond well to other available treatments. You may not experience any symptoms when you have DVT, and that is why it is important to get regular checkups. You can always start by getting an annual checkup to know more about your health. You may require checkups more often if you have a family history of blood-clotting disorders which can increase the risk of developing DVT. Some medications may increase your risk of developing blood clots especially when you don't take them as instructed, so you'd better follow your doctor's instructions when taking them. What's more, before undergoing a surgery, you may have to take blood-thinning medications to lower your risk of getting a clot. While taking these medications, pay attention to your vitamin-K intake as they make these drugs less effective. Being overweight is bad because the extra pounds put more pressure on the veins and affect the flow of blood. This is even more important if you are already at a higher risk of developing DVT. 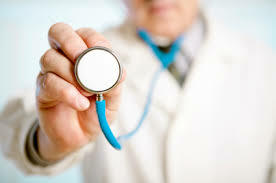 Work with your doctor to identify the best way to manage your weight if necessary and be sure to lose weight gradually. 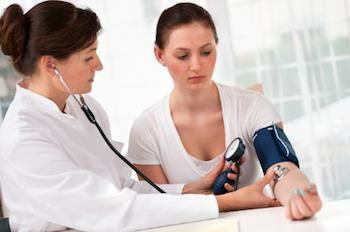 Uncontrolled high blood pressure can cause serious cardiovascular problems, including heart attack, stroke, and heart failure. It can also lead to DVT, so it is important to talk to your doctor and learn how to control it when you have a family history of pulmonary embolism, DVT, and other blood-clotting disorders. 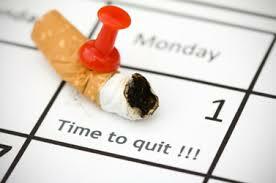 One of many benefits of quitting smoking is that it lowers your risk for DVT. Smoking leads to high blood pressure that is another risk factor for DVT. Besides, smoking also interferes with blood circulation and makes the blood clot form easier.